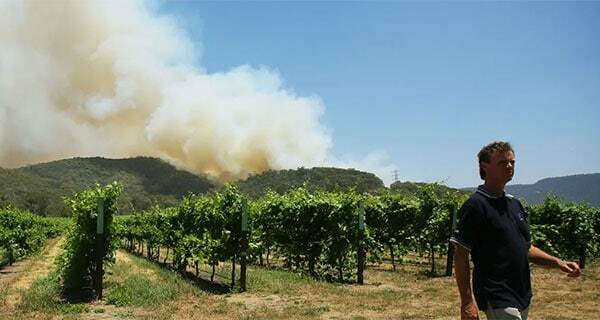 Climate change is impacting many wine-growing regions of the world. This article, with an Australian focus, has equal relevance for South Africa. Australia’s wine industry is both world-renowned and economically significant, with around A$5.6-billion in sales in 2016–17, and winemaking and associated tourism responsible for more than 170,000 full and part-time jobs. Statistics also show that wine consumption is now accepted as being just as dinky-di as beer drinking for the average Australian. The old process of staggered harvesting times for red and white grape varieties was efficient, allowing the winery’s capacity to be used in sequence for different varieties. Now that different varieties are ripening at the same time, vineyards and wineries will have to make tough choices about which grapes to prioritise, and which ones to leave until later, resulting in inferior wine. Alternatively, they could take the expensive decision to increase production capacity by investing in more infrastructure such as fermenters and stainless steel tanks. The Conversation, authored by Christopher Davies,Team Leader, CSIRO; and Christine Bottcher, Research scientist, CSIRO.